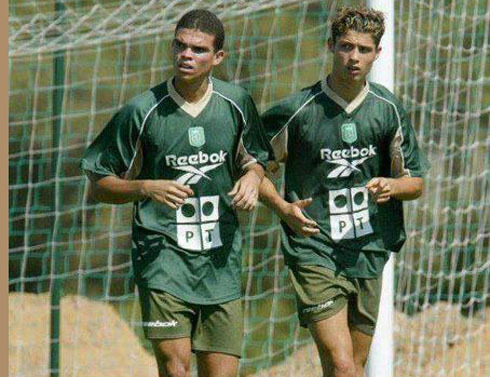 ﻿ Pepe: "If Ronaldo doesn't win the Ballon d'Or, it will be outrageous"
21.11.2014 » Pepe: "If Ronaldo doesn't win the Ballon d'Or, it will be outrageous"
In an interview granted to a Portuguese newspaper called "A Bola", Pepe claimed that there's no other player in the world deserving to win the FIFA Ballon d'Or more than Cristiano Ronaldo. CR7 keeps being pointed as the main favorite in the Ballon d'Or race, with Lionel Messi and Manuel Neuer coming far behind him. Cristiano Ronaldo saw one more of his colleagues backing him up to win the upcoming FIFA Ballon d'Or award and this time it was Pepe who publicly stated that any potential scenario where Cristiano Ronaldo isn't acknowledged as the best player in the world next January 12, will simply be outrageous. 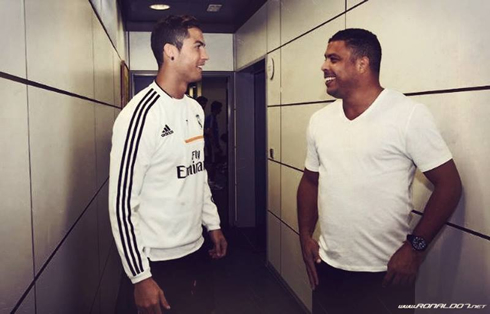 The Real Madrid defender has been one of Ronaldo's best friends since the beginning of his career and supported his claims by pointing out the he already is the best player of all time, as well as making note of some of his stats and records that he broke throughout 2014. The Ballon d'Or's voting deadline expired this Friday (November 21), but the results will only be known in the ceremony held in Zurich, on the 12th of January of 2015. 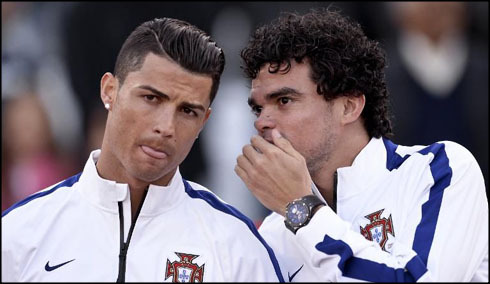 Pepe: "The difference between the best player in the world and the others has never been as big as it is this year. For that reason alone, it would be an outrage if Cristiano Ronaldo doesn't win the FIFA Ballon d'Or. He even managed to break a tremendous record at the end of the last season, by becoming the top scorer ever in a Champions League campaign, with 17 goals in 11 games", started by reminding the Portuguese defender. Pepe: "In my opinion, if any other player besides Ronaldo ends up receiving the Ballon d'Or award this year, he should feel embarassed for how unfair that would be. Ronaldo has been breaking record after record. How can someone honestly think that another player deserves it more than Cristiano after everything that we witnessed? ", remarked the 31-year old defender, as he kept throwing a pile of arguments in favor of his Portugal National Team and Real Madrid teammate. 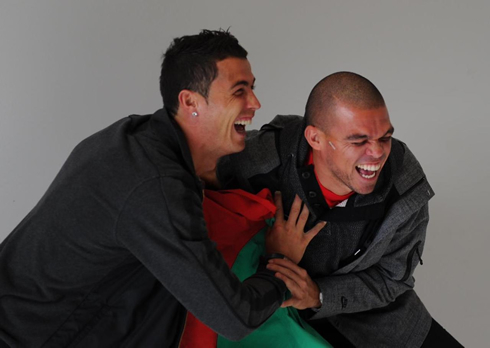 Pepe: "If we look only to the 3 months that we've already played this season, Cristiano Ronaldo already scored 23 goals! What does he need to do more for people to truly recognize his value? In my view, he's already the best player of all-time and it would be a total scandal and an embarassment if he doesn't win the Ballon d'Or in a year where the difference to all the other candidates was bigger than ever", concluded the Real Madrid centre defender. Cristiano Ronaldo next game will be a Spanish League fixture against Eibar, scheduled for next Saturday, November 22. You can watch Juventus live stream, Eibar vs Real Madrid, Barça vs Sevilla, Arsenal vs Man Utd, Chelsea vs WBA, and Bayern Munich vs Hoffenheim, all matches provided from our live streams game pages.